For the world we live in, there’s no limit to the festivals and galas to keep us up-to-date with our family, friends and other acquaintances. But there are a few events happening around the world which are not limited to the people you already know, but they’re about the people you’ll connect with. These events are about the people who you’d want to be in your contact list forever, in fact, some can even be on the speed dial! The people who you can trade with- your prospective clients and your prospective suppliers. You probably have guessed the word by now; we’re talking about trade fairs and exhibitions. 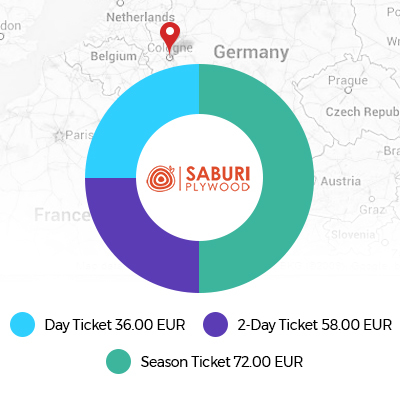 They bring to you the unique opportunity to interact and network with thousands of industry practitioners from coast to coast, and the payback is seriously overwhelming. 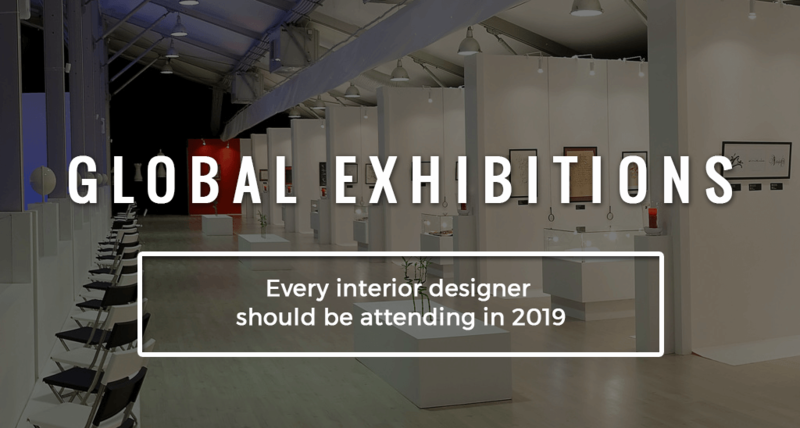 Now, with hundreds of design fairs, conferences and trade shows taking place around the world every year, now and then, it can be difficult to choose the ones that actually deserve your time, effort and monetary investments. To help you out, we’ve compiled a definitive guide to the 5 of the best events of 2019 that you need to save the dates for in your calendar. Be sure to leave yourself enough time to appreciate the breadth of our exhibitors—and the diversity of our amazing programming options! Going down every two years in Germany, Interzum is one of the most extravagant trade fairs for furniture and interior-fitting suppliers. Interzum is the home to the newest products of the sector it’s affiliated to. Not just first-hand premiers of futuristic merchandise, awareness and unprecedented factual data out resource conservation, sustainable development, upcycling, digitalized living standards andother matters of global concern are anticipated from Interzum, 2019. Interzum is also the favourite gather spot of industry veterans, so you’ll find a lot of those to converse with – from the finest architects to founders of the best plywood brands, andgloballighting and mattress manufacturers. Its popularity amongst stakeholders and foreign visitorsare only increasing, owing to the amount of space it gives to product launches. Organizer Koelnmesse GmbH is known for its efficient operations preparation, implementation, follow-up, travel, accommodation, logistics, and stand construction of trade fairs, conferences and other events in Germany. Interzum is held at Koelnmesse GmbH’s exhibition centre which is located in Cologne, North Rhine-Westphalia, Germany. The 2019 session of the eminent event is going to be held from 21st to 24th of May. The visitor count of previous Inerzum (held in the year of 2017) was a total of 69,000 from 152 countries, of which 18,000 were national attendees. 248 companies exhibited their products in Interzum 2017, we found there some of the best plywood manufacturers from India. China Trade Week can turn out to be more than just architects and construction material suppliers, it covers the audience of machinery, lighting, energy, clothing & textiles, electrical goods & electronics, automotive parts & accessories, health & beauty, print, packaging & plastic, baby & infant products and food & beverage, but it’s a must hit once if you’re an interior designing fanatic. Small and Medium-size Enterprises (SMEs) concerned with China Trade Week are cherishing full support of China Chamber of Commerce. This means that enterprises attending the event can apply for overseas exhibition subsidy from the government if they meet the requirements. CTW was first established in the year of 2013 with U. A. E. (United Arab Emirates), suit of which was followed by Ghana, Iran, Morocco, South Africa, Ethiopia and, of course, Kenya. Sponsored by KEPSA (Kenya Private Sector Alliance), the Kenya Tourism Board, Kenya Investment Authority, MSEA, the Confucius Institute, Kenya Agrobuisness and Agroindustry Alliance, and CCPIT (China Council for Promotion of International Trade), China Trade Week is going to be held in Kneya from 5th to 7th June of 2K19. 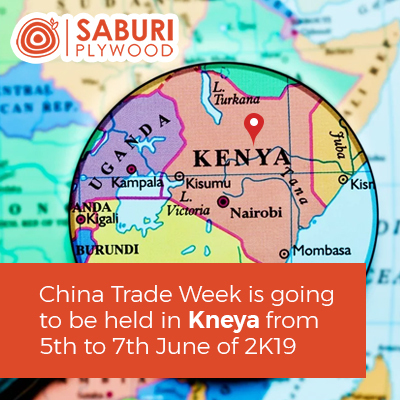 On 5th and 6th June, you can enjoy making trade connections with over 400 high end Chinese furniture suppliers, plywood manufacturers, and fellow interior decorators from 9:00 AM to 6:00 PM, however, on 7th of June (i.e. the last day of this event), venue will be open to attendees only from 9:00 AM to 4:00 PM. Organizer MIE Events has declared the venue to be Kenyatta International Convention Centre, Nairobi, Kenya. And the best part of the ‘One Belt, One Road’ event, China Trade Week? It’s free to attend, how amazing is that? 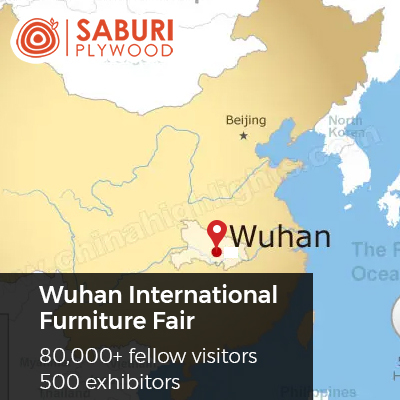 Another cutting edge furniture industry trade fair which we think that every interior designer should be attending in 2019 is the Wuhan International Furniture Fair. It’s one of the biggest furnishing and wood events in Asia. Raw materials, auxiliary materials and equipment. If anybody in your acquaintance likes to exhibit products of such kinds, do insist them to give WIFE a shot for the same. We are highlighting this part because we know that Wuhan is the most convenient place to travel to and lodge in, and not just this, logistics handling, translation of language during the expo, advertisement support and the entire booth construction – all will be taken good care of by the organizers at WIFE. This event is free to join as well. Join the crowd from 25th to 27th of this April in the most conventional convention centre in Wuhan (and probably China too) – the Wuhan International Expo Centre, Wuhan, China. Opening hours of WIFE will continue from 9:00 AM to 04:30 PM. 2019’s is the fifth WIFE, and it’s going to be the best yet. Well, The Sunshine State is more than beaches, Disney World, and Universal Studios. Florida could be the place where you found hundreds of prospective clients, only if you attend this eyecandy for homeowners – the Florida Home Show. FHS or Florida Home Show is the one stop gala for the people who pay an awful big a heed to their houses’ remodelling, decorating, furnishing or landscaping needs. From elegant bathroom fittings, to modular kitchenware, ultra aesthetic exteriors to innovative home accessories, you’ll find here everything you need to know about the emerging interior designing market trends. The organizer Turner Exposition Corporation is renowned for its efficiency, hygiene and effortless timeliness that reflect in its events. Turner Corporation home shows are also one of the top 30 premiere shows in the country and have been featured in the National Home & Garden Show Series. 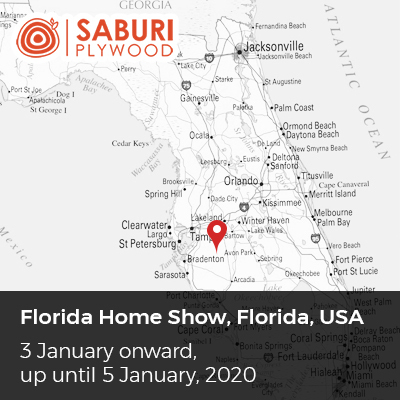 After its successful execution in the March of 2019 (15th to 17thth Mar), the Florida Home Show will now see you in the January of 2020. You can see the exhibits 3 January onward, up until 5 January, 2020. Timings for the show will be from 11:00 AM to 6:00 PM. Enjoy chatting with your prospects and generating effective leads. Anticipated visitor count is 12K for the 2020 session of FHS. There will also be more than 900 exhibitors to take a look at and loot goodies from. This session will be held in the Florida State Fairgrounds. Adult tickets cost a reasonable $8 whereas the kids that are under 12 in age can join the crowd for free. For senior citizens and military servers, certain leeway of $1 is given, making the ticket prices go down to $7. This one needs to save your dates if you’re an enthusiast of interiors (and exteriors, for that matter) of buildings. Construct Canada will be all about the tools needed to sharpen your civil building development skills and hone your professional growth. Construct Canada is Canada’s largest exposition and conference by volume, attraction, popularity and space. It will be a discourse about the design, construction and renovation of all types of buildings. Canada Construct being Canada’s premium interior networking platform of your industry, you’ll make extremely valuable contacts with more than 35,000+ industry professionals there and get enlightened with more than 1,600 exhibits, 500 speakers, and 350+ presentations and technical demonstrations there. The event will be collocated with PM Expo, World of Concrete Pavilion, STONEX Canada and HomeBuilder& Renovator Expo. Canada construct has also expanded to the North Building to include Construct International and IIDEXCanada, Canada’s another very prestigious architectural and design trade show. All shows combined will create The Buildings Show, North America’s largest annual exposition and conference focusing on the design, construction and management of real estate. For more than 30 years now, Construct Canada has been the country’s premier construction industry exposition and the 2019 Show is all pinky promising to be bigger and better than ever. Attendees will learn more about best practices in sustainable and energy efficient design as well as greening new and existing buildings, they will witness first-hand the changes and discretions in trends shaping our industry. 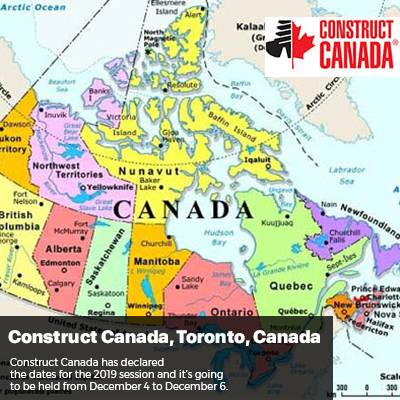 Official website of Construct Canada has declared the dates for the 2019 session and it’s going to be held from December 4 to December 6. The venue is undoubtedly the Metro Toronto Convention Centre. For December 4 and 5, you can relish the show from 10 AM to 5 PM, and on 6th December, you’ll be entitled to enjoy all the interior fantasies for four hours – from nine in the morning to one in the noon.